Friendships have always been a very important part of my life, as it is for most of us. I value the relationships I have and always remind myself to appreciate my friends for all they do. 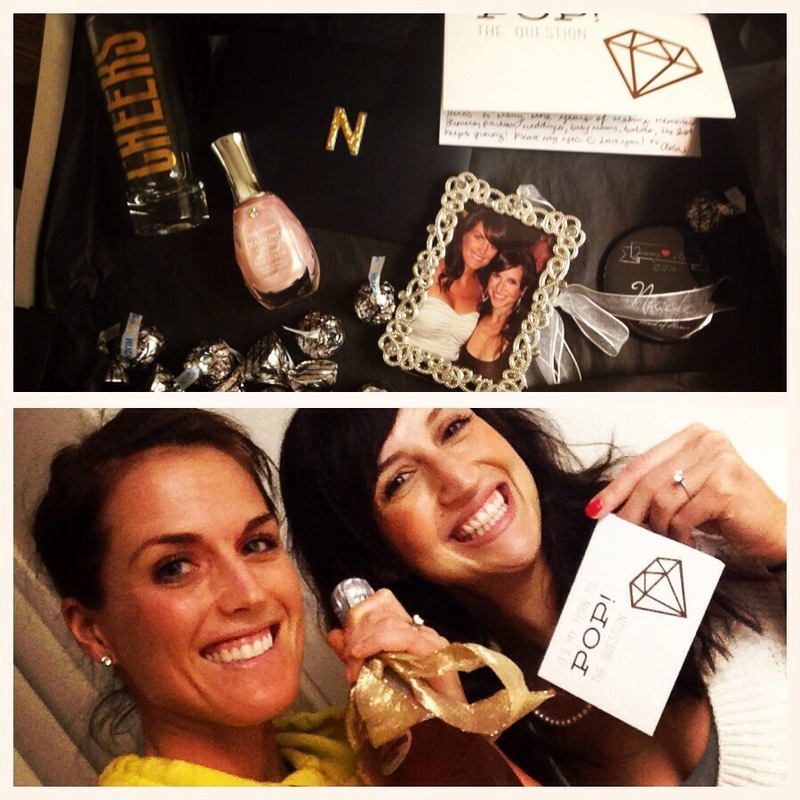 My best friend Asia played an absolutely pivotal role in my life this year as I planned my wedding – Maid of Honor! I was blown away with her loyalty, patience, and love as well as her incredible party planning skills during the 7 months of my engagement. Oh yeah, and she memorized her incredible Maid of Honor toast! I feel very lucky to have a friend like Asia in my life. Three weeks after Mike and I got married, Asia’s longtime boyfriend and a good friend now of both Mike and mine, Jeremy, proposed to her on the beach in Del Mar after an utterly romantic lead up. I am so incredibly happy for her and have been eagerly joining in on all the planning festivities thus far. On Tuesday before Asia left for the East Coast for Christmas, she came over and dropped of a bottle of champagne and a gift box which included an adorable card asking me to be her Maid of Honor! Of course I said yes – I can’t wait to repay the favor! 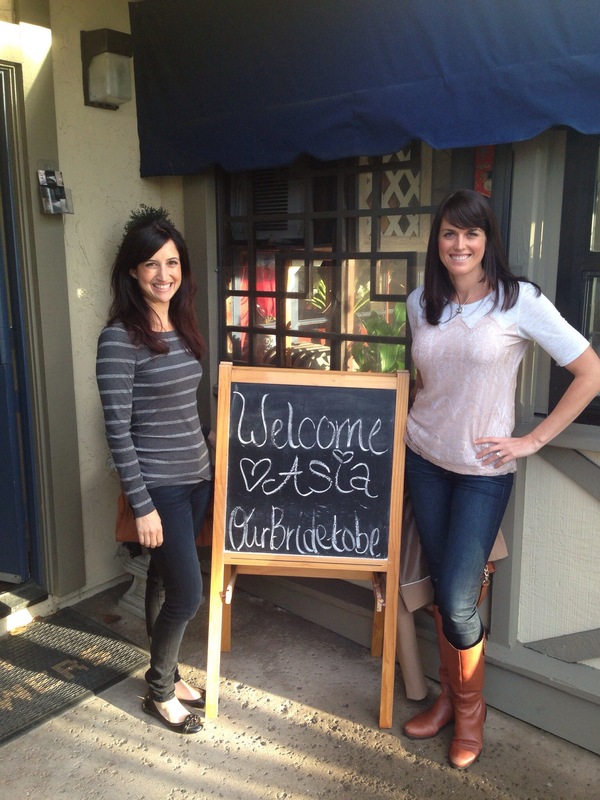 Asia and I met in college when we rushed the same sorority at the University of San Diego. We weren’t friends off the bat, basically acquaintances. We studied abroad in Madrid at the same time and got to know each other a bit more then, but it wasn’t more than a shallow friendship. Flash forward to post college when I began to hang out more with our mutual friend and sorority sister Gillian. Asia and I got together to pre-party and carpool to Gillian’s birthday party and realized how much we had in common – ironically at the time, it wasn’t fitness at all. Mostly, we had in common that we LOVED to travel. 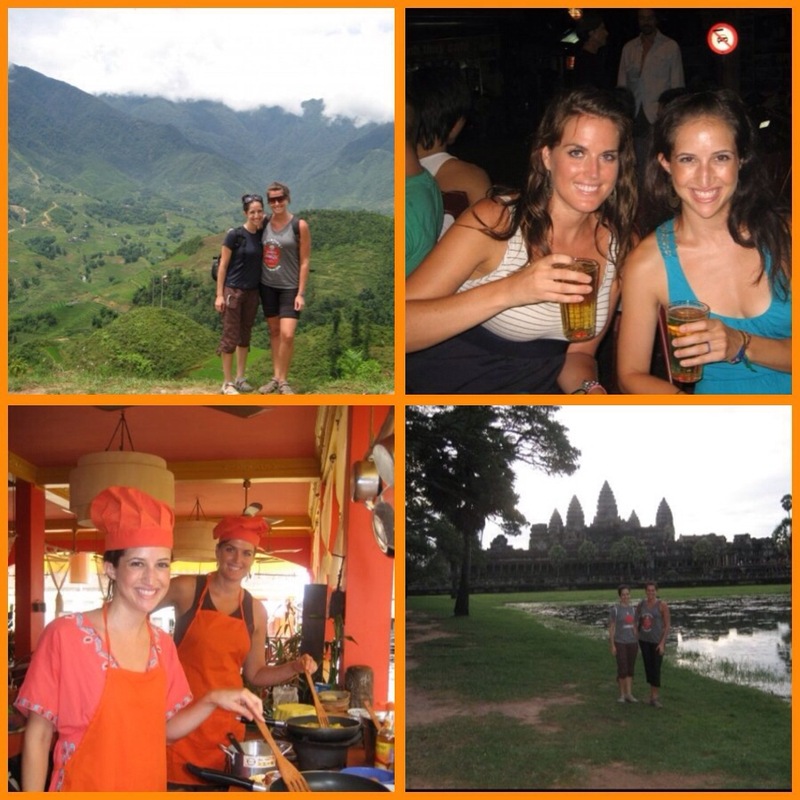 Soon after, I decided I would quit my job and backpack through Southeast Asia. Asia was applying to MBA programs and wanted to leave her job a month early so she could join me on the first leg of her trip. Somehow it all worked out and we got to know each other even better during our Asia planning meetings as well as monthly dinner parties that our former sorority sisters hosted. By July when we left, we were officially friends but still getting to know each other. Once you travel with someone for 4 weeks though third world countries on a shoestring budget, you get to know someone. We traveled to Thailand, Malaysia, Cambodia and Vietnam together and got to know each other even better. In particular, we learned that I am the one who kills the cockroaches while Asia screams, I’m in charge of the map and we are both suckers for little children wanting to sell us things. 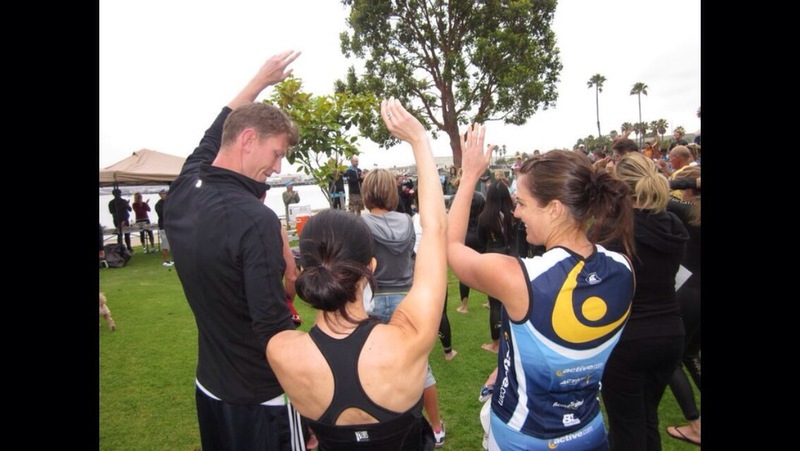 Once I returned and shortly after met Mike, Asia and I decided to run what would be both of our second half marathons, the AFC Half Marathon. We both wanted to crack the 2 hour mark and were set on doing so. 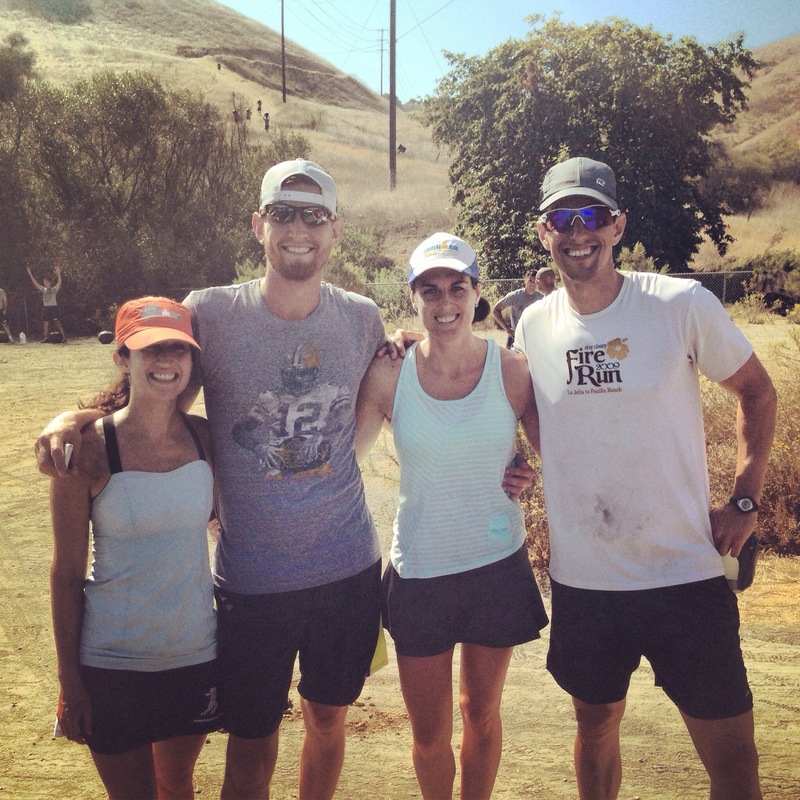 We began to train together and over those long runs is when we really began to get close. AFC came and went (we both missed our goal), we ran the Del Mar Mud Run with Mike and Jeremy, and a fun run 5k put on by our sorority. At a happy hour around this time, Mike, Jeremy, Asia and I promised that we’d do our first marathon together in 2011 and Team WODS began (the combination of our last initials). We also had all planned to do P90X so it ended up being a mold of P90X with marathon training with a half marathon thrown in for fun. During one of those marathon training runs is when the idea for us all to do an Ironman together was born, and the rest is history. Asia and I live less than a 1/2 mile away and are able to meet at 5:45 a.m. on weekdays for pre-dawn runs, on weekends for sometimes 20+ mile coastal chat sessions or a weeknight evening run. 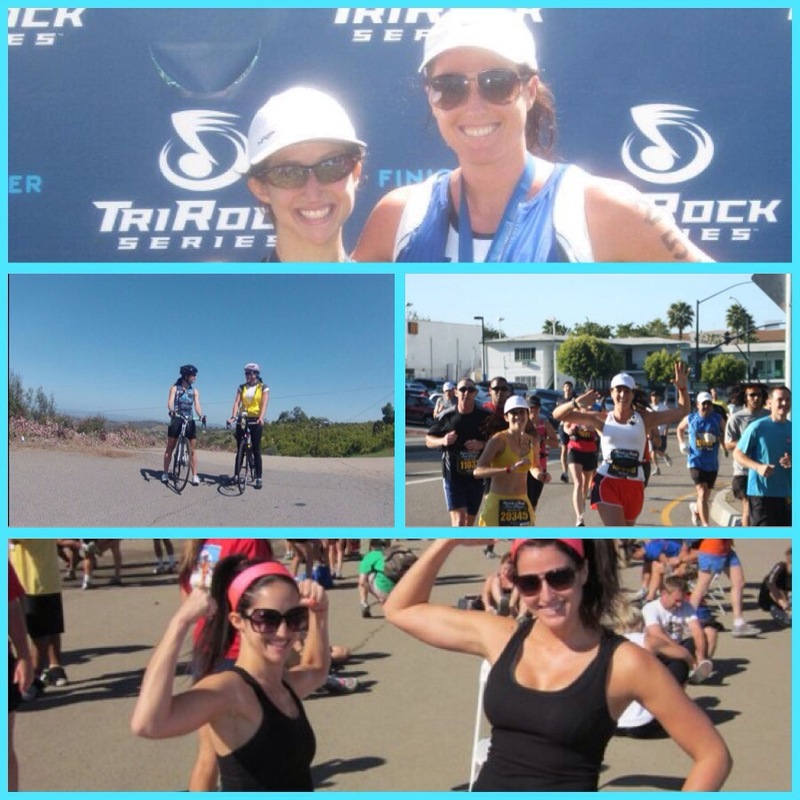 During Ironman training we did almost all of our bike rides together and we’ve tried barre classes, P90X and other fitness adventures together. We both love fitness and love to challenge ourselves to be our best. We maintain friendly competition but friendship always comes above competition. My heart broke for her when she didn’t finish Ironman CdA and hers for mine when she qualified for Boston and I didn’t. We are each other’s support system, sounding board, workout coach and best friend. I think I’m a better athlete because of her. I simply cannot wait to repay the amazing generosity that Asia showed me while she was my Maid of Honor. And as we turn the page to a new chapter of our lives and start families, I know that Asia and I will continue to grow, learn and push each other to achieve our goals together. Also, we’ll be those moms that chick dudes at local 10ks while pushing a stroller. Aww thank you! I loved reading this!! 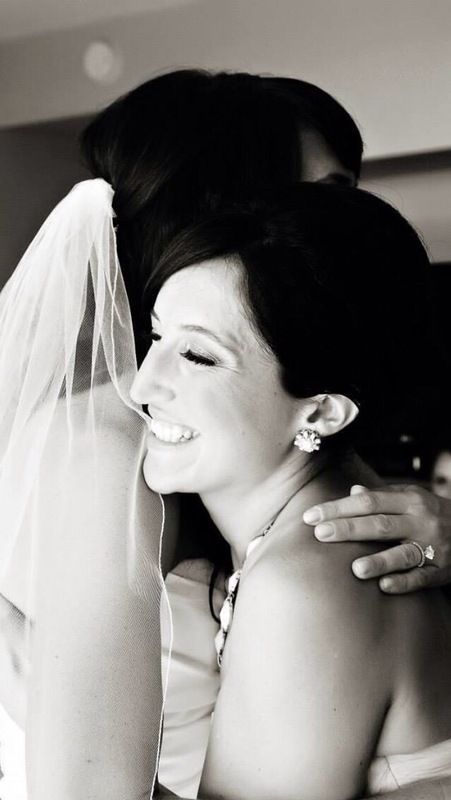 It brought back so many memories & is a great start to your MOH speech. 😉 We have been through so much together. I can’t wait for so much more in 2014! Love you! This was such a cute post! I love how close of friends you two are and hearing the story of how you became was really cool. I thought you two only met a little while ago through training so I was pretty surprised that you were/are each others maid of honors. This experience will definitely make the two of you even closer! You guys are too cute and what a special friendship to have. Love you both! I love this story of your friendship! It sounds like you’re almost closer even than sisters could be. Have fun helping her plan her special day! Such a great post. You are lucky to have such a wonderful friendship! Also I grew up in Coeur D’ Alene, ID and found your Ironman experience so inspiring! It will be my first Ironman for sure! !